Four UNT Division of Student Affairs departments were presented awards at the Institutional Effectiveness Awards Ceremony hosted by University Accreditation on November 28. The Institutional Effectiveness (IE) process at UNT is focused on improving the university’s student learning outcomes and services, while increasing student success and institutional quality. Including continuous improvement and innovation as part of the institutional culture ensures that student success and achievement are at the forefront of UNT’s mission. UNT has built IE plans using Improve (formerly TracDat) for all degree programs and academic departments, as well as administrative, academic and student support, research and public service units. This is done in order to comply with SACSCOC principles regarding IE and continuous data informed improvement. While this is a requirement, the award winners went beyond mere compliance and have shown dedication to continuous improvement and the IE process at UNT. TRIO Upward Bound and Student Veteran Services received Institutional Effectiveness Celebrity Awards. This is a special recognition for IE superstars across campus with high peer reviewer scores that deserve recognition. IE Celebrities demonstrate a strong commitment to IE in student learning and improvement. 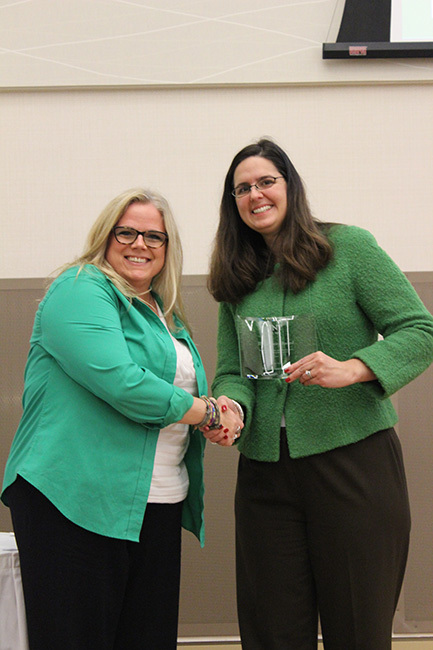 Student Legal Services and TRIO Student Support Services received Outstanding Administrative Department Awards, which recognize UNT administrative departments demonstrating a strong commitment to IE and excellence.